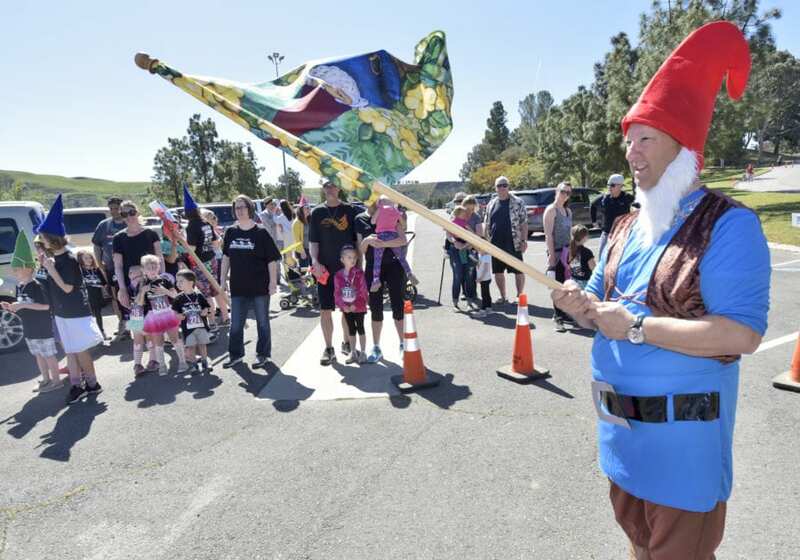 Jim D'Addario, right, raises the flag to start the Gnome Parade during the Castaic Lake Dam Run & Gnome Festival held at Castaic Lake in Castaic on Saturday. 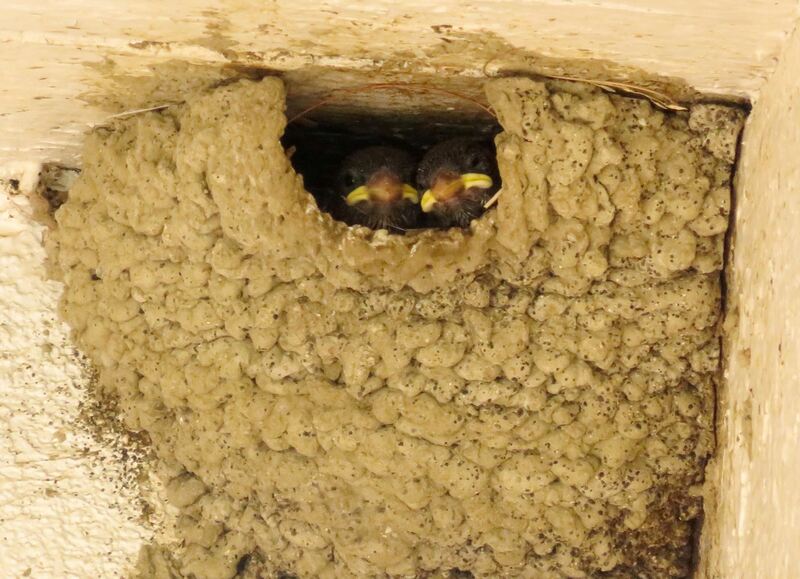 | Photo: Dan Watson/The Signal. In a day filled with marathons, parades and food, the inaugural Gnome Festival and Dam Run in Castaic on Saturday saw hundreds of Santa Clarita Valley residents and visitors in attendance. The day kicked off with a half marathon and 5K run set against the scenery surrounding Castaic Lake, according to event organizers. The first place winner of this year’s marathon, Joel Limo, had flown from Kenya to participate in the event, and was able to complete the Half Marathon in an hour and ten minutes. Also there for the family to enjoy together was a variety of games, such as corn hole, that families could enjoy for free. Koen and Jace Osbog were playing corn hole with their dad and although they said there favorite games were either Minecraft, a video game, or basketball, they were enjoying their time in the sun with the beanbags.